[dropcap]T[/dropcap]he very first recorded broadcast of a signal containing Radio Sidewinder idents was on 8th January 3301. The first broadcasts were a mixture of music, news and adverts. There are numerous reports that these early broadcasts contained fake news items that often included reports of huge quantities of cargo floating in space, or about traders offering very low prices on goods. These news reports lured many unsuspecting commanders to remote locations. When they arrived they were interdicted and had their cargo stolen. There are no reports of Commanders’ ships being destroyed. These original broadcasts were often signed with the name Cmdr Black-Bart. A month after the initial broadcast other names started to be heard within the signal. 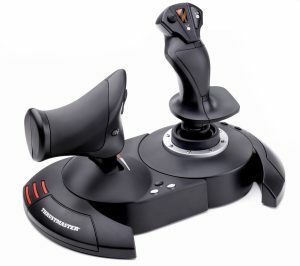 Cmdr Meris Enchindar, Cmdr Arbitration, Cmdr Cold Glider and Cmdr Neuroplay all had regular slots within the schedule. This rag-tag group of broadcasters became known as the “Radio Sidewinder Crew” amongst the listeners and fans. Browse the official Elite: Dangerous selection of books. eBooks start as low as £4.99! 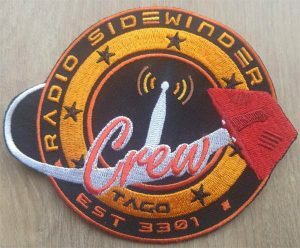 he Radio Sidewinder Crew is a loosely associated group of pilots based primarily in the Tago system. Crew members, as well as many Seekers of the Source, have been known to congregate at the Maclean Ring orbiting Tago A 7, though very few call it home. CMDR Black-Bart is unquestionably cited as their leader.. The large majority of faction members seem to have very little in common, representing miners, traders, combat specialists, and outlaws alike. Membership qualifications are unknown at the time of this writing, but most pilots are brought in by existing members, or cultivate a relationship with an existing member through prolonged business dealings. In rare cases, membership has been granted to a pilot for an act of extreme bravery, skill, or luck that has been committed in the presence of an existing member. It is rumored that CMDR Black-Bart reviews all applications personally, but this would not be mathematically feasible considering the number of applicants recorded in the 3300 Galactic Census (over 23,000). The Radio Sidewinder Crew seems to promote an agenda concerned with the well-being of pilots in general, as well as the sustained flow of interstellar commerce. Faction members seem to enforce their own particular brand of “fair-play” justice. CMDR Black-Bart and his broadcasts embody the ideals of the faction itself: Keep flying, stay safe, and get rich if you can. These goals can be achieved by the law-abiding and the law-bending alike, creating a roster of “morally varied” faction members, and while not all members are model citizens, each acknowledges the rights and freedoms of all pilots, and works to protect those rights and freedoms when the situation arises. Ten years before the initial broadcast of Radio Sidewinder, three satellites in the Paesia System disappeared without a trace and were presumed destroyed. In the month after the first broadcast started spreading across the galaxy, all three missing satellites have been located at various distances from Paesia, the farthest approximately 300ly away, functioning properly and retrofitted with spare parts, apparently repurposed as signal relays for Radio Sidewinder. Since ownership was abandoned by the Paesian government shortly after their disappearance when insurance claims were turned into the Paesian Engineering Commission, the satellites have never been reclaimed, and thus remain in their undisclosed locations. While these were the first discovered relays carrying a Radio Sidewinder signal, they are by no means considered the original relays; several researchers have since discovered devices that appear to have been broadcasting since the original airdate. Adventurers lucky enough to find a relay may encounter a cluster of ships parked nearby, ready to swap stories and trade conspiracies of the legendary CMDR Black-Bart and the ever-elusive Source. and re-broadcast signals in a continuous stream across all known frequencies, the number of routes the Radio Sidewinder signal could take are currently incalculable, and growing exponentially. [dropcap]S[/dropcap]ix months after the first official broadcast of Radio Sidewinder, confirmed as received in over 13,000 systems, scientists at the Lavian Institute for Broadcast Integrity ruled that the Radio Sidewinder broadcast could in some jurisdictions be considered a “pirate signal”, and thus an investigation was warranted by the local Lavian Security and Information Coalition. Araslov Meyune, head of Lavian Information Security systems, was subcontracted to handle the investigation using the same techniques that had been used in the Manapi conflict of 2988. Meyune’s team had previously used a combination of proprietary software and hardware to trace terrorist intelligence communications throughout the sector surrounding Manapi, and helped identify over 2,000 individual bases and ships used by the terrorists. of such a large Coalition finding their hardware to be operating in an unintended, though harmless, capacity. Though the Coalition and Meyune had high hopes for the investigation, very little was discovered about the relays and their origins, while a great expense (to the tune of 3.5 billion credits) was invested in their research. Consequently, after only one month of official inquiry, the Coalition reported that it could find no reason to warrant the expense of continuing their investigation. Their findings concluded that the Radio Sidewinder signal was in no way detrimental to the other functions of non-dedicated relays, and the dedicated relays they had discovered had all been correctly aligned in their orbital trajectories, and properly registered (using admittedly “non-specific” credentials) with the appropriate local authorities. In the course of their investigation into whether or not the signal could be considered a “pirate signal”, the Lavian Security and Information Coalition did find that systems in close proximity to Radio Sidewinder relays experience a marked increase in traffic, and consequently commerce, after the discovery of the nearby relay. As a contributing factor to the wealth and well-being of a system, Radio Sidewinder relays have since been classified by the Lavian Institute for Broadcast Integrity as “non-protected, non-detrimental, non-endorsed carriers of a public service signal”. While this does not afford them any protection or maintenance benefits from the Institute’s many engineering subcontractors, it does officially recognize them as part of the “Lavianet”, a galactically-recognized network of registered communications devices. As such, the (known) Radio Sidewinder relays can be found in the Lavianet database, and many other references. 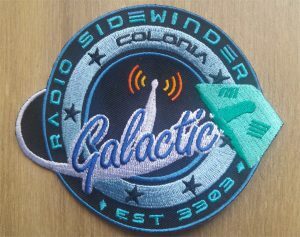 Various sources will reward confirmed relay locations with a substantial amount of credits, since the number of listed Radio Sidewinder relays has become a subject of contest for many authoritative communications management directories. [dropcap]T[/dropcap]wenty-two weeks after the initial broadcast of Radio Sidewinder, the Ark-22 Mining Corporation in the Cocorix system discovered one of their internal satellites was carrying the “Black-Bart” signal, as it was known at that time. In the interest of security, they launched an internal investigation into the satellite’s software and encryption methods, necessitating a series of docking procedures with an Ark-22 maintenance craft. After the first successful repair was completed, while decoupling from the satellite, the maintenance craft collided with a limpet following a nearby Lepidolite mining vessel. The collision resulted in a small chemical explosion due to the limpet engines igniting an exposed exhaust jet on the maintenance craft, which in turn caused the limpet to collide with the satellite, dealing a massive amount of structural damage to both devices. The reason the Cocorix Incident is often cited by conspiracy theorists and self-proclaimed “Seekers of the Source” is the fact that after the Ark-22 satellite was damaged and later scrapped for materials, the signal strength of the Radio Sidewinder broadcast in the Cocorix system never wavered. Data from instruments on board the maintenance vessel, as well as independent sources within the Cocorix system, and that of ComCorp Unlimited engineers in the nearby system of Hereda, all support the same finding: Signal integrity remained, and did not vary, despite the accidental destruction of the Cocorix relay. No other relays nearby have been found to carry the Radio Sidewinder signal, and consequently it is still a mystery how the network of relays function so efficiently, let alone how many there really are. Many speculate that a high percentage of discovered relays are actually “decoy” relays, or “De-lays” to Seekers of the Source, broadcasting the Radio Sidewinder signal so blatantly that they were most likely created in case local broadcasting regulations deemed them a nuisance at some point in the future. After their destruction, nearby authorities would presumably stop looking for any more satellites, and assume the signal was being delivered from somewhere outside their jurisdiction. However, many theorize that for every device confirmed to carry the Radio Sidewinder signal, there are most likely a dozen more in the same system, waiting to be found. [dropcap]I[/dropcap]n the months following the initial broadcast, a group of fans, followers, and conspiracy theorists began posting on the sub-nets all over the galaxy. Their inquiries and comments all center around one-topic: Who is CMDR Black-Bart, and where does he broadcast from? 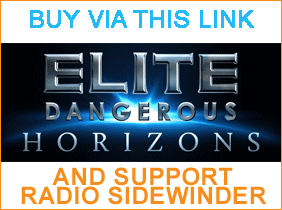 No one has been able to answer these questions yet, but a dedicated group who call themselves the Seekers of the Source continue to maintain an online repository of all the known, confirmed information about Radio Sidewinder and its elusive creator. [dropcap]T[/dropcap]he oldest story to gain a foothold with Seekers of the Source is based upon some of the encryption patterns found in the first Radio Sidewinder broadcast. Many academic and military experts have confirmed that the logarithmic basis for much of the signal’s encoded meta-data is familiar to law enforcement agencies, a specific blend of several encryption methods known as the Secure Encryption ReVerse Obfuscation (SERVO) protocol. The SERVO protocol achieves AAA encryption by encoding portions of data forwards, then backwards, then forwards again in varying patterns determined by a separate set of logarithmic calculations. The specific “flavor” of SERVO protocols used in the original Radio Sidewinder broadcast was known as the “Whiskey” protocol, so named for its use in the Vegan prohibition sweeps of 2898. Each successive broadcast has been encoded with a new blend of alternate encryption, but this initial use of the Whiskey protocol by CMDR Black-Bart hints at his origins as a law enforcement / security official. While the Whiskey protocol was popularized in the Vega system, its creation and refinement occurred ten years earlier in Federation law enforcement agencies that specialized in Internal Security. Around 2995, many of these agencies experienced a mass exodus of personnel when the confidential expense records of its executives were leaked to the public. While the official Federation investigation concluded that the leak was an act of espionage perpetrated by a political opponent, many researchers suspect it may have been an internal security breach by a still-unknown whistleblower. This belief is reinforced by several leaked memos referring to an agent being suspended due to “unfounded allegations towards the financial practices of Federation resources”. The name of the agent is redacted, but his (or her) qualifications do include proficiencies in Transmission Technology (broadcast system use and administration), Counterintelligence, and Advanced Encryption Methods, among many other skills. The fate of the agent in question cannot be determined due to the classified nature of Federation personnel records, but the point of origin for the leaked memos indicates a relative proximity to the Tago system. [dropcap]I[/dropcap]n 3301, fourteen reports were made to law enforcement agencies claiming that several versions of the original Radio Sidewinder broadcast were embedded with coordinates advertising CMDR Black-Bart’s location. However, when curious pilots arrived at the coordinates (which were different in each account), nothing was there. No beacons, ships, or stations were present, and the nearest planetary or stellar body was at least 12ly away. By cross-referencing the coordinates and dates provided by the victims, law enforcement agents were able to triangulate a region of space that the vessel (or vessels) broadcasted from. This region, which encompasses 400 cubic light years, includes the current Radio Sidewinder Crew home system, Tago, and other Federation systems. The only other similarity between these accounts, and again it is common to all fourteen, is that within 24 hours, each ship that investigated the signal was approached by an unknown vessel that attempted to rob them. Accounts of the attacking vessel vary, some claim it to be a heavily-outfitted Cobra MKIII, others say it was a deceptively armed Type-6 with a military hull; no two accounts are similar enough to be undeniably linked. Most notably, the situation itself is consistently described as an unexpected encounter with an intimidating but respectful pilot, who simply states that a particular quantity of the victim’s cargo needs to be jettisoned immediately or there will be undesirable (but non-specific) consequences. Of all the victims who made reports to law enforcement agencies, only two pilots attempted to fight the assailant, and each barely escaped with their ship intact. All pilots who cooperated with the unknown vessel were left to continue on their way, and in one instance, a cooperative pilot who was low on fuel and robbed of his Painite soon found two units of fuel floating half a light second away, presumably jettisoned by the unknown vessel during its escape. While this last report may be a coincidence, many Seekers of the Source, as well as current Radio Sidewinder faction members, believe it to be an example of CMDR Black-Bart’s fair-play ideology at work. to be continued/updated/improved! Send us your suggestions.